Type and Characteristics - Single screw, wooden-hulled, bark-rigged sloop, Alaska-class, built by Boston Navy Yard, laid down 1867, launched 31 October 1868, commissioned 8 December 1869, 2,394 tons, 250ft long x 38ft beam x 16ft draft, armed with 1-60pdr, 2-20pdr rifled and 1-11in smoothbore guns (Conways - 1-5.3in or 60pdr Parrott RML, 1-11in and 6-8in smoothbore), 11kts, 273 crew, first commanded by Cdr Homer C. Blake. Log Period and Areas of Service - 1868-83, Asiatic Squadron, 1871 Korean Expedition, European Squadron, 1873 Spanish Cuban crisis, Pacific coast of South & Central America, Alaskan waters, Central Pacific. 8 December 1869 – Commissioned in Boston, Comdr. Homer C. Blake in command. 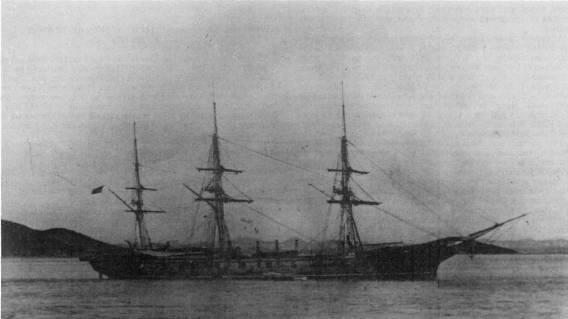 9 April 1870 – Sailed to the Far East; tour of duty with the Asiatic Squadron. 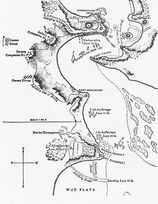 16 May 1871 – Visited the Salee River on Ganghwa Island, Korea, with the squadron; fought in the Battle of Ganghwa (see map below). 28 October 1872 – Sailed from Hong Kong to New York harbor; put in dock, undergoing repairs. 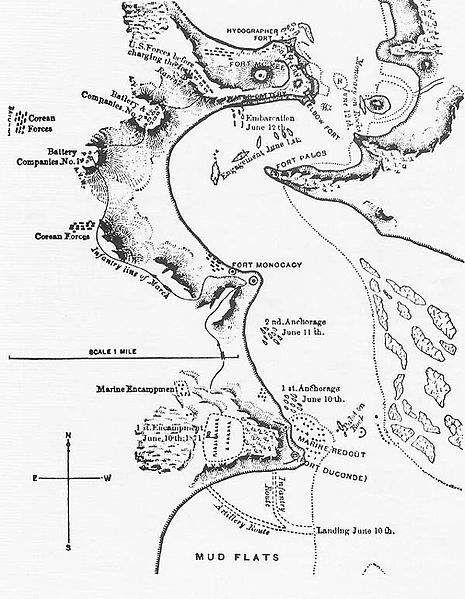 28 August 1873 – Tour of duty with the European Squadron. 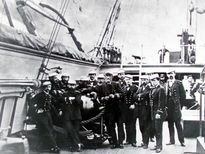 30 November 1873 – European and South Atlantic Squadrons sailed to join the Home Squadron at Key West, preparing for possible war with Spain over the Cuban steamship Virginius. 9 April 1874 – Returned to tour of duty on the European Station in the Mediterranean Sea. 5 October 1876 – Decommissioned at New York for extended repairs. 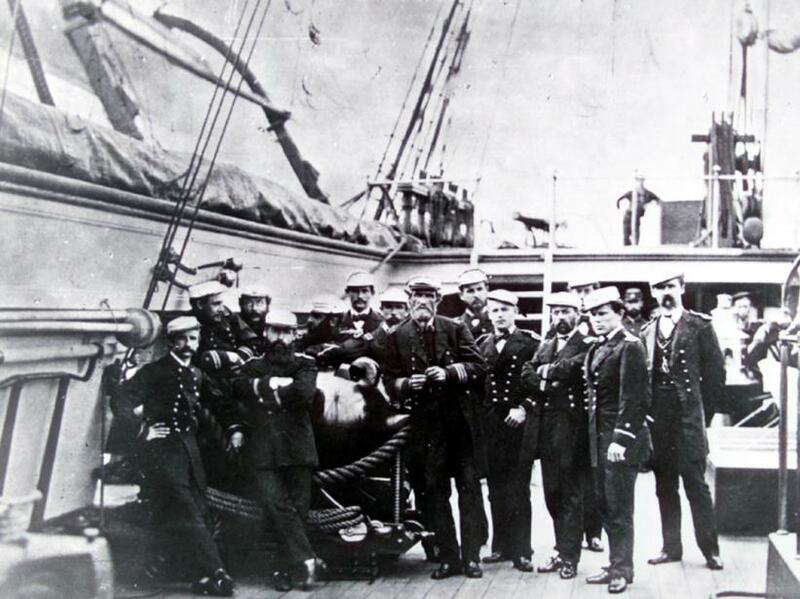 23 April 1878 – Sailed from New York for a tour of duty with the Pacific squadron. 3 April 1879 – Served in Alaskan waters. 12 August 1879 – Began a series of visits to ports along the west coasts of Central and South America. 22 July 1880 – Sailed for the South Pacific and the Marquesas, Samoa and Hawaii. 2 December 1880 – Returned to Mare Island Navy Yard, San Francisco, for repairs. 14 March 1881 – Sailed for Central and South American ports along the Pacific coast. December 1882 - Returned to Mare Island Navy Yard, San Francisco, for repairs but found wanting. Fate - Decommissioned at San Francisco in February 1883, sold at Mare Island in November 1883.